The context of Jesus’ prayer for the unity of those who would believe in Him is the sanctifying truth of God’s word – the very word that the Apostles subsequently delivered to the Church, and through which we now believe in Christ. God’s word, then, is essential to our Christian faith. We hunger for sound doctrine, because sound doctrine is nothing other than that word, faithfully delivered. The Christian life depends upon sound doctrine. But is it harmful to Christian unity to rebuke false doctrine and separate from those who wilfully assist in its propagation? Some seem to think so. Yet Christians are nowhere in Scripture called to unite around false doctrine or practice, but to reject error and instead speak the truth in love to one another. We are to ‘contend earnestly for the faith which as once for all delivered to the saints’ (Jude 3). The elders of Harvest Bible Chapel of Prescott have published a gracious and thoroughly Biblical explanation of why their congregation has dissociated from Elephant Room 2 organizer James MacDonald’s Harvest Bible Fellowship Chicago. HBC Prescott’s dissociation echoes that of Harvest Bible Chapel Detroit West in January. Sovereign Grace Church of Bakersfield similarly left the Acts 29 network founded by ER2 moderator Mark Driscoll of Mars Hill Church. 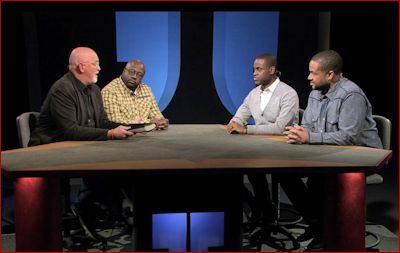 James MacDonald interviews three African-American pastors in an attempt to ascertain their opinions on what transpired at ER2. One of these pastors was Charles Jenkins, pastor of Fellowship Missionary Baptist Church in Chicago. Jenkins is the pastor who was brought in as Voddie Baucham’s replacement at the Harvest Men’s Conference. This article is adapted from a longer piece, Thinking about orthodoxy: defining terms and asking questions. If we are to understand one another and avoid talking at cross purposes, it is necessary to define our terminology. Unless we do this, we risk erroneously assuming that we have understood what someone else means when they use a particular term.